Taz Watson is the brainchild and designer behind the KiiRA brand. As a native South African and a third-generation gemologist, Taz is as passionate about her homeland as she is about gemstones and jewellery. While Taz grew up with an in-depth knowledge of the industry and was mentored by her grandfather, parents and older brother – all gemologists themselves – she formalized her expertise by attending the esteemed Gemological Institute of America (GIA). Taz studied jewellery design (JD) at the New York campus before moving to the head campus in Carlsbad, California where she graduated with Graduate Jeweler (GJ), Computer Aided Design (CAD) and Gemology and Diamond grading. Taz envisions the brand as a celebration of Africa’s natural beauty, diversity and the potential that exists within the land and its people. 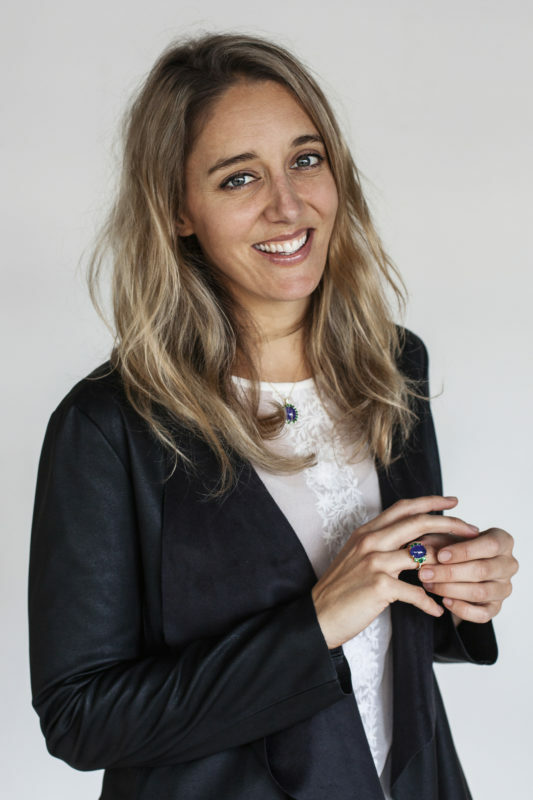 She not only values the importance of providing beautiful, authentic and genuine jewellery, but deeply cherishes the need for ethical business practices and sustainability. It is this ethos that is carried through every aspect of the KiiRA brand. “Beyond the world of gems and jewellery, conservation and community upliftment are close to my heart. KiiRA is my way of combining my passion and my compassion. I want to share something beautiful and precious with the world in an authentic, ethical and sustainable way”.